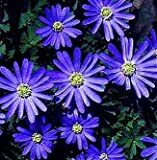 Anemone blanda growing herbaceous geophyte of the genus Anemone also known as Balkan anemone or Grecian windflower, Anemone blanda perennial deciduous used as ornamental cut flower plant, can grow in mediterranean, subtropics or temperate climate and growing in hardiness zone 5-10a. 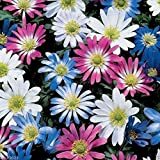 Flower color can be purple, pink, white or can be more than one color, the flower has six petals and showy stamen in the middle. 20 Anemone Bulb - Blanda Mixed Blanda, Size 6/7, Now Shipping ! 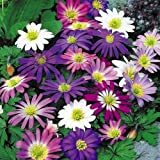 Windflower - 20 Mixed Bulbs 5/+ cm - Anemone blanda - Very Hardy! 50 Anemone Bulb - Blanda Mixed Blanda, Size 6/7, Now Shipping !